DM Select Services fleet of air conditioning and heating service and installation professionals are prepared to solve your problems in a prompt manner. Our respect for every single Maryland customer and high quality of service is proven by our A+ rating with the Better Business Bureau and exceptional reviews on Yelp, Google and Angie’s List. 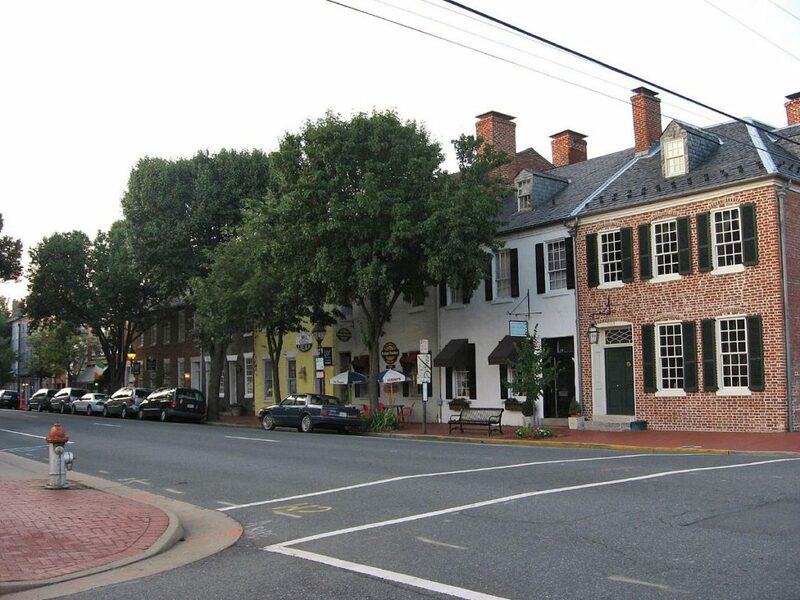 We serve Maryland’s residential and commercial heating, air conditioning and plumbing needs. Do you need your ducts cleaned? How about your thermostat replaced or your heat pump replaced? If so, then call us and let us take care of those things. When the time comes to hire an HVAC contractor in Virginia, then you need to use someone who is knowledgeable and has the expertise to fix any issue with your HVAC system. This is exactly why you should hire DM Select Services. We serve clients all around Frederick County and Maryland. If there is a breakdown that cannot be fixed, then don’t worry. We offer systems that you can buy via financed. After you’ve chosen the HVAC system you want, we will quickly install it and eventually you will end up saving money on your energy bills. Our experts have both the skills and knowledge to find issues with your HVAC system. We can help you with minor issues that can quickly or eventually lead to larger issues. When we inspect your HVAC system, we will look for wear/tear and other issues that should be taken care of. With our services, you will enjoy getting peace of mind knowing you are doing business with a reputable company. When you schedule an appointment with us, we will arrive at your property quickly and we will work hard to keep your system running properly and efficiently. We will also work hard to ensure your energy bills are as low as possible by working on your HVAC system. It doesn’t matter what kind of HVAC service you need, you can contact us and let us handle your problems at 301-265-3635! If you need heating repairs done in Maryland, then you can count on our contractors and our technicians, who are highly skilled. When the cold temperatures hit in the winter, you do not want to have a heating system that isn’t performing at optimal levels. This goes for both your business or home. A heating system that is flawed will keep energy bills high and you could be left exposed to extremely low temps. If you need maintenance performed on your heater or you need it repaired, then don’t sweat it. We can help you out and our services are competitively priced. We provide HVAC services to both commercial and residential clients. No heating system is too small or big for us to work on. Our technicians are highly skilled and experienced. We can handle any problems with your heating system. With our services, you can rest assure your heating system will function as good as new. When your heating system works properly, then you’ll likely save money on your heating bill. This is because your system won’t need to work harder than necessary. It doesn’t matter what type of furnace repair you need to be done or if you need a heat pump repaired, thermostat replaced or maintenance performed, we at DM Select is here for you. We are fully committed to each and every one of our clients in Maryland. Take a look at the hundreds of reviews written about us on social media. You’ll quickly realize that people trust us. If you need a local heating contractor to work on your heating system, then look no further than us. We will be happy to provide you with the services we need. Contact us at our Burke headquarters and let us know what you need. We are a local contractor, therefore we can provide you with services such as regular HVAC maintenance, inspections, and same day repairs. Our technicians have a combined experience of over 50 years. Not many other local heating and cooling companies can say the same thing. DM Select Services provides AC repairs throughout Maryland. We are the number one HVAC company in Frederick County. Our customers come first, every single time. If you want a technician to check out your problem and solve the issue as soon as possible, then call us at 301-265-3635 today and schedule an appointment. We provide AC repair services to both commercial and residential customers. The last thing you want is to be dealing with a failing air conditioner when summer is in full swing. However, AC services are not only provided in the hot summer months, but also in the cold months. If an AC is faulty, then freezing temps can be let into your office or home. Air conditioning units that have leaks can cause temperatures to fluctuate. In turn, your electric bills can increase. It is crucial to ensure your AC is in optimal condition because this will ensure that the temperatures remain at a comfortable level. This will also keep your electric bill low. We have over 15 years of industry experience. We have always put our customers first, and this is why they trust us. Our client-focused approach has helped us create long-lasting customer relationships. The bottom line is that DM Select Services is known for reliability and quality of work. Do you need your AC repaired or a central air system installed? How about AC maintenance or commercial air conditioning services? If so, then call us today. We’ll be more than happy to answer any questions you may have.